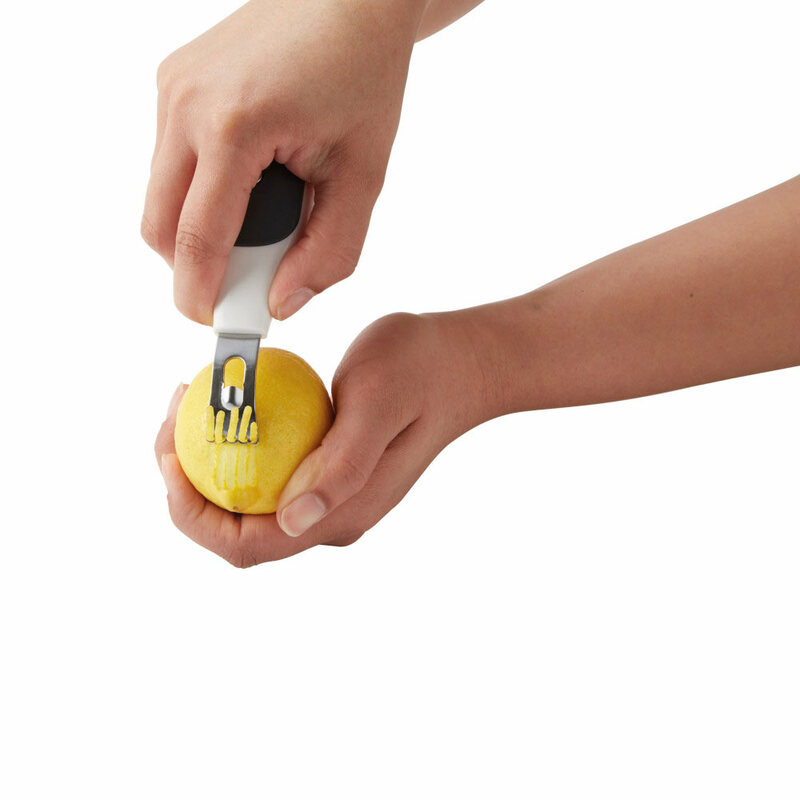 "Gives That Extra ZING to Meals"
This Easy Grip Zester is fantastic to use and cleverly designed, featuring a rounded, comfort-grip handle that is slip-resistant. The blade cuts fruit rinds quickly and stays sharp. Zest limes, lemons or oranges for a yummy tang to plain chicken or fish, vegetable dishes and deserts. A channel cutter on the opposite side lets you make interesting designs in fruits and vegetables for an exciting culinary display. 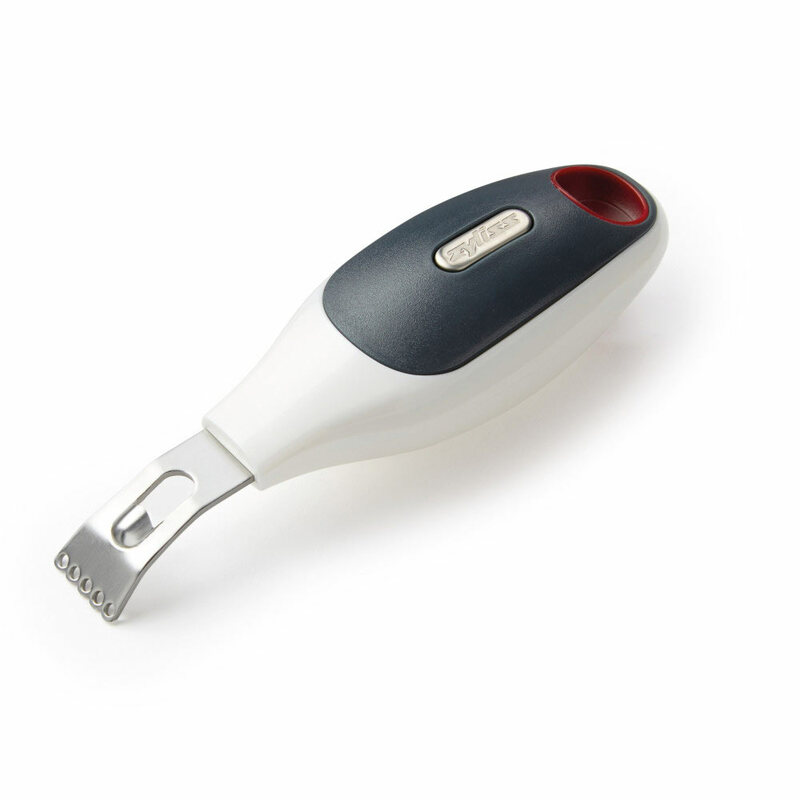 Made from ABS plastic and extra-hardened stainless steel, it measures 5-in. in length. Dishwasher-safe and comes with a 5-year guarantee.